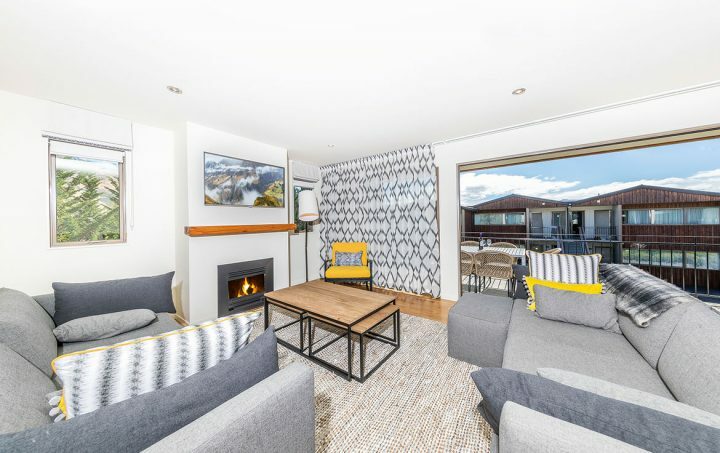 Oakridge Resort Lake Wanaka is set in a stunning mountain landscape offering majestic views overlooking the Southern Alps in Wanaka. The Sanctuary Day Spa with full range of massage and beauty treatments. Bookings recommended. Seasonal Changes to restaurant hours and opening days apply. Enquire at Reception. Bookings recommended. Internet – The Resort is linked to a wireless broadband and has a guest computer at Reception for guest usage (access vouchers are available at reception). Wanaka is located in the Southern Lakes region of New Zealand’s South Island, 65km or 50 minutes drive across the Crown Range from Queenstown International Airport. Lake Wanaka’s airport receives daily flights to and from Christchurch. Shuttle services from the airport into town are available. Wanaka is easily accessible by road with national highways dissecting the town either from the West or East Coast. Daily coach services link Wanaka with neighbouring Queenstown and Christchurch. Full kitchen, no laundry in apartment – communal laundry in resort, bathroom (shower only) – 1 bathroom, individual controlled heating, NO air-conditioning, DVD player, cots available on request (charges apply), highchairs available on request no charge, no rollaways available. Full kitchen and laundry, 2 bathrooms – main bathroom shower over bath, ensuite bathroom shower only, individual controlled heating, NO air-conditioning, DVD player, cots available on request (charges apply), highchairs available on request no charge, no rollaways available. The South Island town of Wanaka appeals to both adventure lovers and relaxation minded travelers. Situated on the crystal clear waters of New Zealand’s fourth largest lake, just a short drive from Mount Aspiring National Park, Wanaka is an ideal spot to go fishing, hiking, skiing, wine tasting or golfing. The city also hosts Warbirds Over Wanaka, the largest three day air show in the Southern Hemisphere.